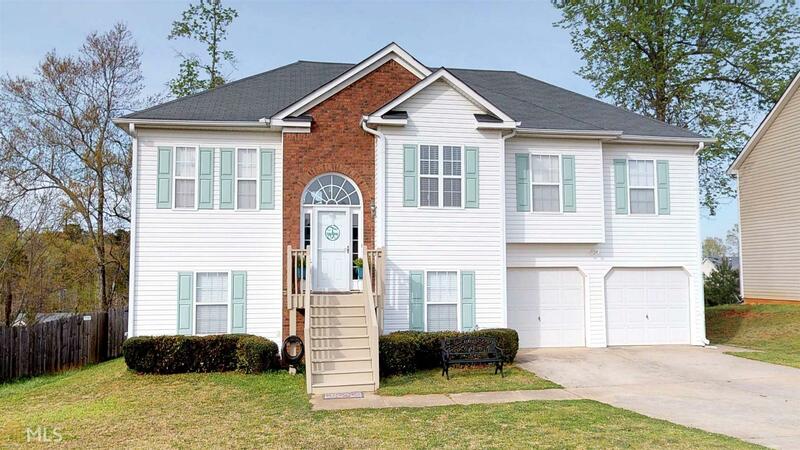 9651 Poole Rd Villa Rica, GA. | MLS# 8355500 | Larry Gamel and Windy Gamel Your HUD home Specialist in West Ga.
Back on Market at no fault of the seller. Better than new condition split foyer home with laminate wood flooring, vaulted ceilings in living room, separate dining room, kitchen with breakfast bar and breakfast area, split bedroom plan, master with vaulted ceilings, separate garden tub and shower, double vanity, water closet, walk in closet off the master bath, back deck overlooking privacy fenced backyard w/ outbuildings. Downstairs completely finished with 2 bedrooms, full bath, great room with kitchenette (wired for full size stove) and living area, 2 pedestrian doors off lower level, 2 car garage. Property qualifies for 15K grant from GA Dream for first time home buyers or 100% USDA financing. Directions: From I-20 W Take Exit 26 Left Onto Liberty Rd. Left On Poole Rd. Home On Left.